Remember when you used to have to call a cab and wait fifteen minutes to get a ride? Or ask a librarian to find a copy of your favorite book, then meander around as they hunt down the tome? In the last twenty years, the internet has completely changed the way we as consumers find information, obtain products, and interact with our favorite brands. The web isn’t just reshaping the dynamic between consumers and businesses, however. It is dramatically shortening everyone’s attention spans, fundamentally changing our expectations of how the world can -- and should -- work. While consumers have no doubt benefited as technology races to meet these new expectations, today’s business-aligned IT teams face an enormous and daunting task: to make IT accessible and useful for users acclimated to this new standard. This is especially apparent in analytics. Each new generation of worker that enters the corporate world is less tolerant with waiting for information. At the same time, data volumes are growing at a staggering pace, so there’s more of it than ever IT needs to trawl through. You don’t stand a hope in hell of fighting against this dynamic, so why make it work in your favor? I’m not saying to abandon the data governance and central control required by IT. That’s critical. But instead, align your analytics strategy around your workers’ behaviors and needs, and not just those of IT. You’ll not only appease your workers, but seriously impact your business for the better. From customers checking online reviews while they browse in store, to instantly buying what their favorite influencers are touting on Instagram, customer journeys look nothing like what they used to. While a dramatic departure from previous decades, these new purchasing paradigms leave a digital data trail. Companies producing goods and services in this new world need to implement analytics initiatives that allow users to analyze all these consumer impulses as close to when they happen as possible. They can’t afford to wait a week for IT to tell them a new product is flying off the shelf due to a new social media campaign. Companies that create an analytics framework that provides insights at the speed of modern consumers, while simultaneously empowering decision makers at every level of the company to act on these customer insights, will be more competitive. And more profitable. When it comes to negotiating, knowledge is power. In today’s world, that knowledge is synonymous with data backed insights. I was talking recently with a Fortune 500 financial services firm that lends stocks on margin and whose traders rely on dozens of data sources to give them guidance on what price to quote. When a Goldman Sachs trader calls them looking to borrow a stock, who do you think has the leg up? The trader who has instant access to all the different pricing data at their fingertips, or the one flipping through a stale week-old report produced by the IT team? Whether it’s making sure your office manager has all the pricing information they need to pick the best new supplier for the office happy hour, or giving your head of people the ability to track employee satisfaction after rolling-out a new benefit plan, or arming your head of sales with the latest property insurance rates for a big commercial real estate deal -- the party who puts the best, most up-to-date and accurate data in the hands of its negotiators will always have the upper hand. Companies that focus analytics programs around the speed and ease of use requirements of their users will see the benefits extending to the very DNA of their business -- their employees. Look at Millennials, who are poised to be the largest component of the workforce this year. Do you honestly think they wake up in the morning, excited to spend hours writing queries to parse through the same SAS database their grandfather used? No. These educated, talented young employees expect the same experience provided by the likes Uber and Google. All the information they could possibly need is just a tap of the finger away. So if you want to attract the best and brightest, make sure you’ve implemented an analytics strategy that will empower, and not frustrate, the first generation of digital natives. The analytics market has long attempted to address the needs of IT. While the requirements around data governance and quality haven’t (and shouldn’t) change, advances in analytics that only satisfy IT are no longer enough. 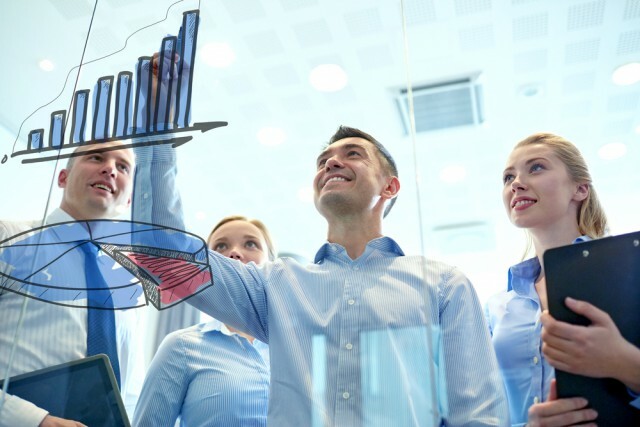 Companies that want to compete, and dominate, in the modern business landscape need to infuse their analytics strategy with the needs of employees. If they don’t, they will fall into the same analytics traps we’ve seen for the past twenty years. 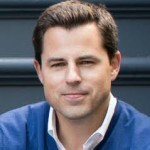 Scott Holden is the CMO at ThoughtSpot, where he is responsible for product marketing, demand generation, content marketing, PR, AR, and events. Prior to ThoughtSpot, Scott spent seven years at Salesforce running a number of marketing teams. Previously, Scott ran the Transportation & Logistics team at Walmart.com.